I can't claim to have a solid grasp of what exactly makes dubstep appealling, nor can I understand Bieber Fever. I don't get swag. 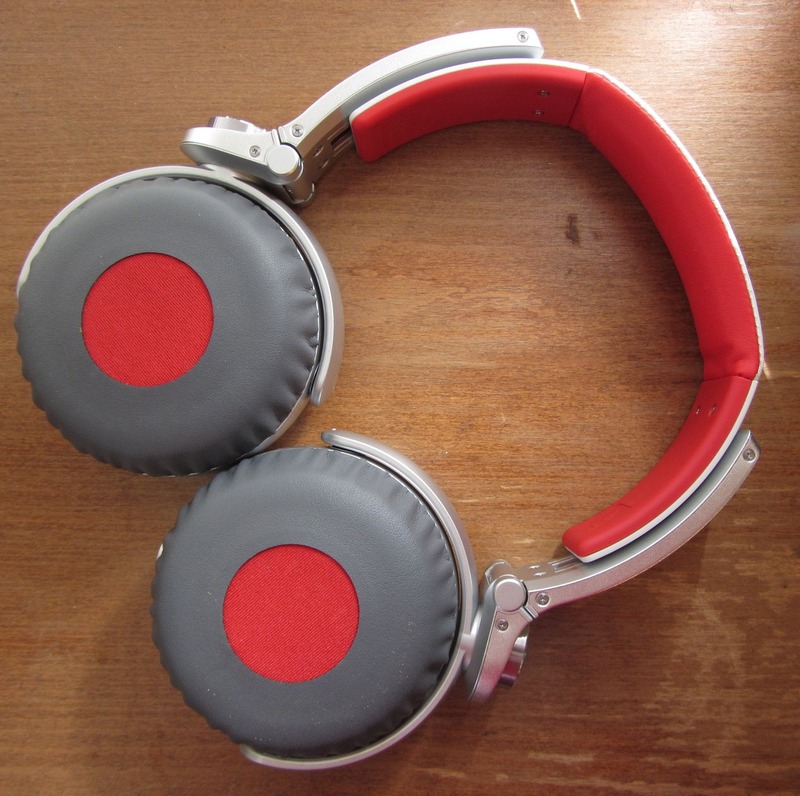 I do, though, know what the kids are into putting on their ears these days: Beats. Let's not beat around the bush: the Sony MDR-X10's are ridiculously overwrought, flashy, made out of plastic, and endorsed by Simon Cowell. 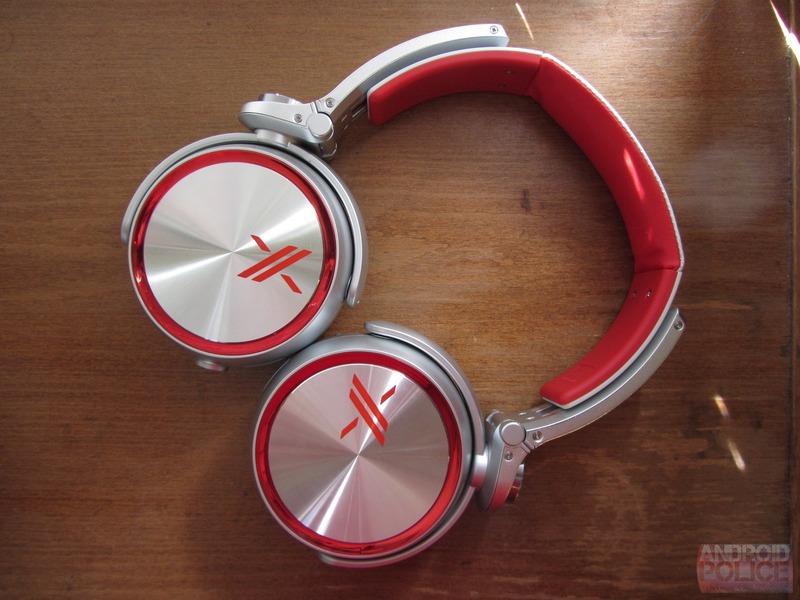 The Beats market is squarely in Sony's crosshairs with this headphone. Even the price point ($300 - street and MSRP) matches up with Dr. Dre's previously top-of-the-line Studio model. I'm not being particularly fair to Sony here, though, by immediately lumping the X10's unceremoniously into the "designer headphone" pile - they're certainly not without their own points of distinction. In fact, Sony has long been renowned for its over-the-ear cans, making some of the best on the market in terms of value for money. Just hit up Amazon, and you'll see glowing review upon glowing review - many for products under $100. But most of those reviews are from A/V pros, DJs, audiophiles, and, well, older people. Sony's headphones don't send a young, vital image - they look more like tools than fashion statements. The X10's are Sony's attempt to tap into a growing market for designer personal audio gear, a market that is quickly becoming the only one of importance when it comes to headphone sales in the US. Just think about this: Beats controls over half of the US headphone market by revenue. So, while my gut's aesthetic sense is immediately tempted to toss the X10's aside as flashy toys, my heart desperately wants Sony to show Dr. Dre that headphones are still about the science of sound - even the absurdly gaudy and tasteless ones. What are they? 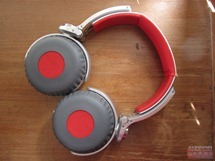 On-ear headphones. Shiny ones. What's so special about them? BOOM BASS EXPLOSION! Oh, and they come in a really classy, minimalist white box. Do I want them? Eh, if you're in the target audience (read: you like the styling), maybe - there's no doubt they're overpriced, though. The look is... not my cup of tea. I'm trying to be nice here, but really, these are catered to an audience with a fashion sense that I will never be able to understand. There is absolutely nothing redeeming to me about the appearance of the X10's, aside from their potential value as reflectors while walking across unlit streets at night. Which is sort of a good thing, considering how deaf-to-the-world they'll make you. But that'd also mean I'd have to be wearing them in public. Which I wouldn't. I do admit, these red ones are especially offensive to me. The black edition (available here) is a little less in-your-face. Of course, if they're you're sort of thing, then take everything I just said and forget it, and try to resist the urge to nail me to the wall in the comments. Moving on, in terms of quality, the X10's are made of plastic (mostly), but they feel quite sturdy. The plastic does make a lot of noise when you're handling them, though, and that's a major turn-off for me at times. However, at the end of the day, that's hard to avoid when you're building folding headphones out of anything but metal or wood. The oversized swivels holding the ear cups in place are at least aluminum on the exterior, though I assume their innards are plastic through and through. 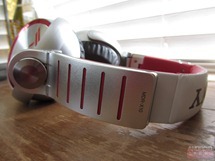 The ear cups themselves have textured aluminum center caps that lend a decided feeling of quality not found elsewhere on the X10's. Functionally, the X10's show off Sony's decades of headphone engineering experience. The headband adjustment action is smooth, but solid, and inspires confidence in quality. The headband itself is amply padded, and even fits over my large noggin very comfortably. The folding mechanism and included carrying case bundle up the X10's to a manageable size for backpack or messenger bag travel, and the detachable locking cord (which is flat, to avoid tangling) adds yet more flexibility. In terms of fit, once again, I can't complain. 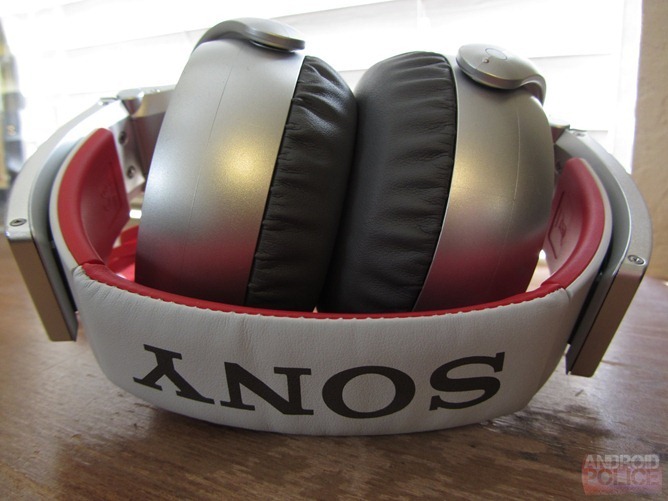 While initially I found the X10's a little uncomfortable, they eased up pretty quickly as the memory-foam cushions lining the earpads broke in, and now they're absurdly cozy - a comment you'll often hear about Sony cans. 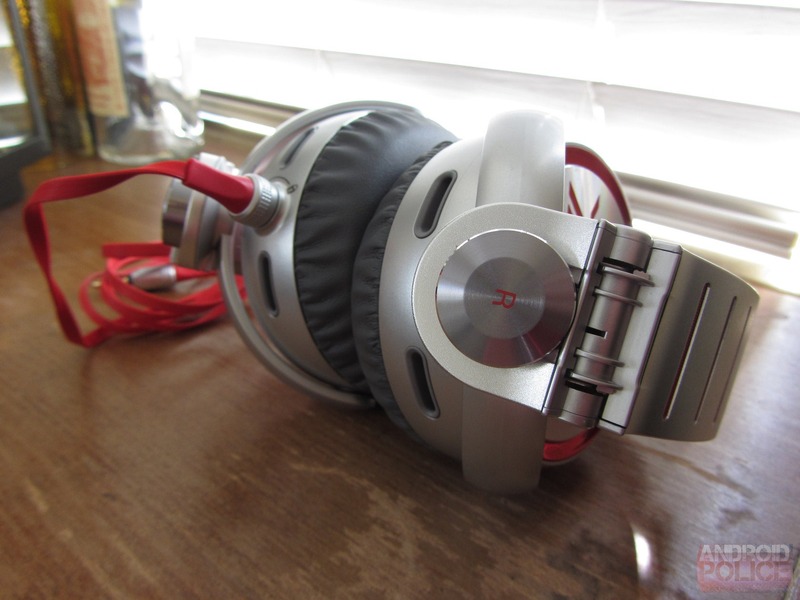 Despite their heft, I could wear the X10's for hours with little fatigue. Make no mistake about the over-the-ear classification, by the way - the X10's merely look like on-ear headphones, the memory foam forms an amazing seal around your entire ear that absolutely mutes the outside world. Once again, the X10's leave me at an impasse: part of me hates the sound, and part of me loves it. 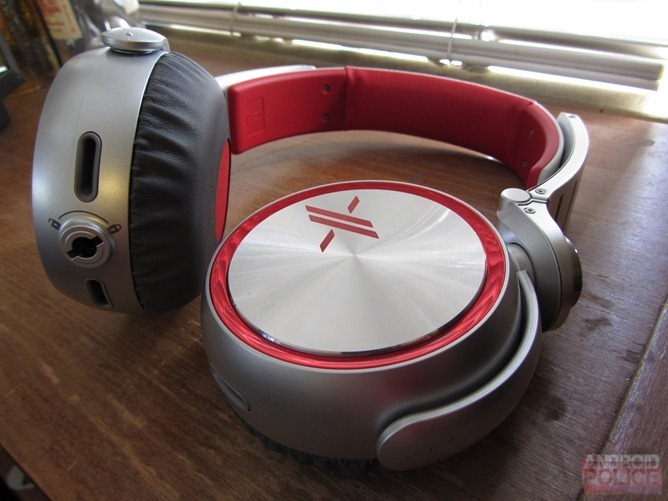 As you might have guessed, the X10's are very much catered to the "too much bass isn't a thing" crowd. The sense I get is that Sony took their MDR-XB800 headphones, styled them up with some slightly-more-premium materials, re-tuned the drivers, and (maybe, maybe) upped the quality of the voice coil. I don't have a pair of XB800's to compare, so I can't comment definitively. Anyway, the sound is basically a low-frequency explosion in your face. Listening to any latter-day Beatles track, for example, it sounds like Paul is a on a perpetual bass guitar solo. It just isn't right. That said, I doubt people buying the X10's will be doing much Beatles listening, these headphones simply aren't made for a wide variety of genres. Pop, electronic, and hip-hop are far more suited to the exceedingly skewed sound curve Sony's implemented here. At the same time, though, even those tracks don't sound quite right. The bass is so dominant that it begins to muddle up the mid-range and overpower the treble. Songs that sound balanced, but still bass-heavy, on my big set of Klipsch loudspeakers become less clean, and while details are more fairly represented (as is generally the case with headphones), the booming low-end can just make listening unpleasant. Kavinsky's Nightcall, for example, becomes an utter mess, with the bass-line overpowering the beautiful medley of synth and voice elements that make it one of my favorites. Even adjusting EQ down to compensate really doesn't fix the problem, the effect is simply too persistent across too wide a range of frequencies, you'll end up destroying detail long before you find aural balance. I can't - and don't want to - imagine what listening to a movie or TV on these would be like. 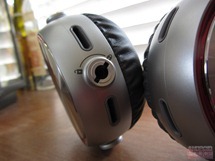 At the same time, the X10's have two very redeeming qualities that shine through this decided shortcoming (if you consider it a shortcoming): soundstage and separation. Stereo delineation (sense of left / right / center) is simply fantastic. The X10's create a wide soundstage that can make tracks sound dynamic in a way many headphones simply fail to. Couple this with an uncanny ability to pull out the subtle details in a dense arrangement, and you get an amazing sense of place in a song. Listening to The Beach Boys' "I Know There's An Answer" stereo mix brings Brian Wilson's complex horn, keyboard, and percussion sections alive. However, it's not all roses: detail on the high-end of the spectrum isn't anything to write home about. Some listeners may confuse the fantastic presence I described above for fidelity, when in reality that's far more about dynamic range. Mid-range is also fairly weak, probably owing to the bass drowning it out. At this point, I'm practically considering heading down to a Sony store to see if they have a pair of MDR-XB800's I can try out and compare the X10's against. I really want to know how much that extra $150 (yes, double the price) is buying, because I strongly suspect it's less than Sony would like consumers to think. That said, while the bass and style may be unbearably loud for a person like me, someone putting the X10's up against a comparably-priced pair of Beats (or other designer headphones) may find that there's a little bit of Sony magic here. If you have to make your high-end headphones $300 and flashier than the trim section of a Pep Boys in order to have today's buyers take them seriously, so be it. 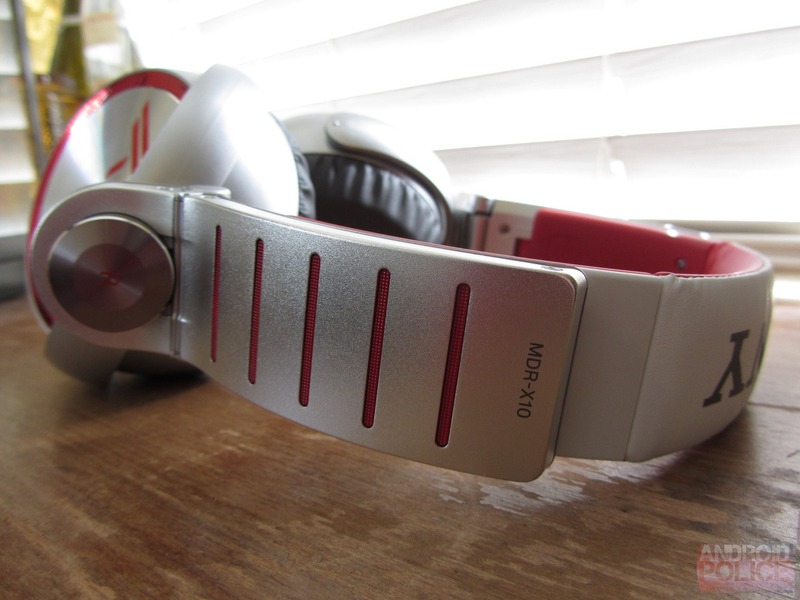 Sony makes great headphones, and the X10's aren't by any means bad. They're just too much for me.